RapidLash Eyelash and Eyebrow Enhancing Serum helps improve the appearance of your own natural lashes and brows. RapidLash is an innovative serum formulated with an exclusive Hexatein 1 Complex, that helps improve the appearance of eyelashes and brows with a simple once a day application. In as little as 4 weeks, lashes will appear more beautiful and brows will be beaming with newfound shine and sheen. Forget fake lashes. For most women, sporting longer lashes is only possible with the use of false lashes , a tricky, time-consuming process that only provides a temporary fix. So what's a girl to do? 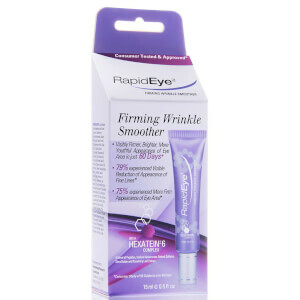 Toss aside the glue and try RapidLash's revolutionary new solution for longer, fuller eyelashes. 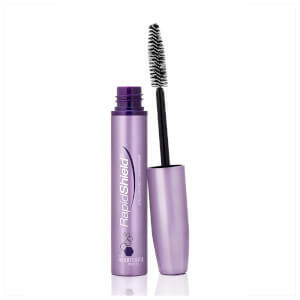 RapidLash Eyelash Renewal Serum is an innovative formula that enhances the growth of lashes from the inside out. This eye-enhancing serum even works wonders on eyebrows that are thin from over-plucking or a wax gone wrong. Inside the ingredients. RapidLash is a company with one key focus: creating effective solutions for enhancing the eyes. RapidLash's signature product , RapidLash Eyelash Renewal Serum , contains an advanced complex of polypeptides, proteins and vitamins to increase the length, thickness and volume of lashes while shielding against breakage and locking in moisture. With consistent use, your lashes will appear thicker, healthier and more lustrous. Simply use the applicator brush to apply the serum to the base of your eyelashes before going to bed. In just a short time, you'll wake up to lashes that are more beautiful and eye-popping than ever before. For your convenience you can buy RapidLash Eye Renewal Serum through the SkinStore auto ship program. 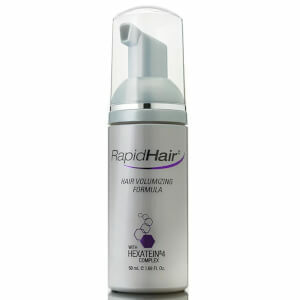 Additional product information can be found at www.rapidlash.com. Improve the look of your eyelashes and eyebrows naturally with RapidLash Products. This line of products delivers proteins, vitamins, and moisturizers to strengthen the structure of your eyelashes and eyebrows. At the same time, these healthy, natural ingredients add shine and elasticity. The result is longer and thicker lashes and eyebrows. The best part about RapidLash Products is that you start to see results in just a few weeks. Daily application of these effective products results in a new look, with little effort. Thicker, fuller eyelashes complement your eyes, and well-defined brows can frame your face. Thus, RapidLash Products can improve your overall look. Your lashes and brows will be stronger and well-moisturized, which means the results will last. You no longer have to rely on mascara and false eyelashes. Instead, add RapidLash Products to your beauty routine for long-lasting results. The easy-to-apply formula will create lustrous lashes in no time. Say goodbye to the mascara and false eyelashes and hello to longer, fuller lashes with RapidLash Products. Featuring powerful polypeptides, these products improve the appearance of your eyelashes and eyebrows. You'll notice improved lashes and brows in no time, as RapidLash Products show results in a matter of weeks. Create fuller eyelashes in just weeks with RapidLash Eye Enhancing Serum. Advanced polypeptides work to boost the look of your eyelashes and eyebrows. Anyone with brittle, weak, thin, or short lashes and brows, men or women, can benefit from this product. An easy-to-use brush allows you to apply the serum to your eyelashes every day. Simply apply it to your upper and lower lash lines, making sure the area is clean and dry. Allow the serum to dry before applying any makeup or skin care product. To maintain RapidLash's impressive results, use the product regularly after you achieve the desired look for your lashes and brows. If you're a dedicated RapidLash user or plan on using the product regularly, the RapidLash Eye Enhancing Serum Duo is your best value. Enjoy two 0.1-oz containers of RapidLash Eye Enhancing Serum. 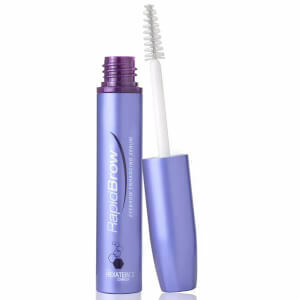 Intended to use daily, RapidLash can give you longer, fuller eyelashes and improved eyebrows in just a matter of weeks. Get your money's worth out of the product by buying the two pack. Women and men with weak, short, or thin lashes and eyebrows will want to make this product part of their daily beauty regimen, making the duo the best investment.